I’ve known for some time that Any.DO is one of the best task management applications on the market. Now a team of investors have shown they do as well: On Monday, Any.DO announced $3.5 million in seed funding led by Genesis Partners and with participation from current investors Innovation Endeavors (Eric Schmidt’s fund), Joe Lonsdale, Blumberg Capital and Joe Greenstein. I had a brief email conversation with Any.DO’s CEO and founder, Omer Perchik, and although he wouldn’t provide a detailed user breakdown, he told me the app still has more users on Android than on iOS. 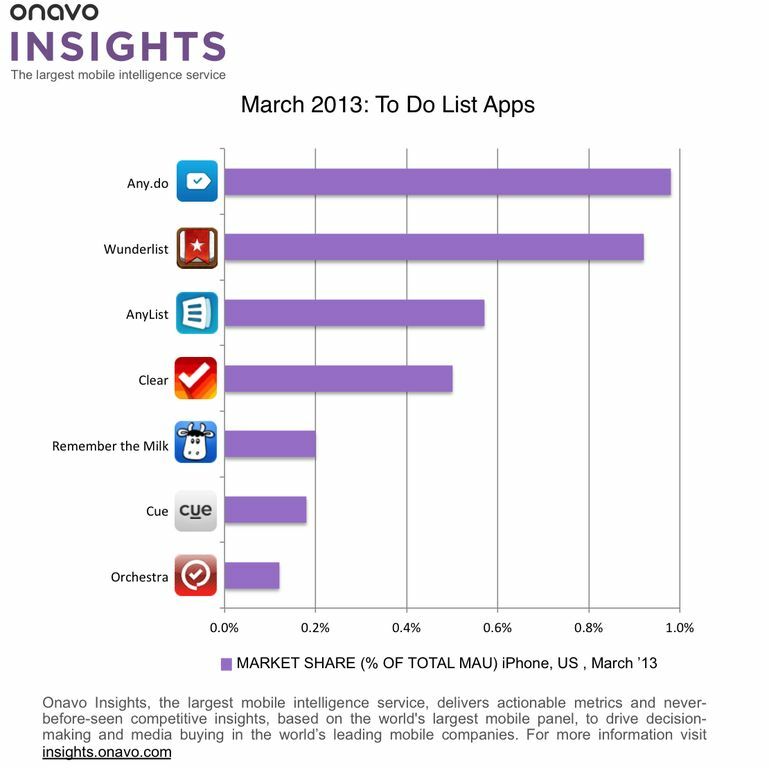 However, according to Onavo Insights, Any.DO was the most used “to do list” app on iOS in the U.S. during the month of March, beating out other well-known names such as Remember the Milk, Wunderlist and AnyList to name a few. Besides a version of Any.DO for Android and iOS, the company also offers a Chrome extension that keeps tasks in sync between your desktop browser and your mobile phone. Now flush with some cash, what’s next for Any.DO? I asked Perchik if Windows Phone 8(s msft) or BlackBerry 10(s bbry) would be the next likely platform target, but he wouldn’t bite. “The next step of the company is to continue focusing on growth and becoming a more and more vital part of people’s everyday lives,” he told me. So I’ll add an Any.DO task to watch for more announcements. i’m confused, how does it “pay off” when they make no money off the service? Sammy, they give you suggestions for shopping or doctors when you add related tasks. This is a kind of advertisement.